Creating a competent community of sports officials who play a key role in developing Ohio student athletes into good citizens of tomorrow. Check out the Helpful resources that officials can use for running a field event, umpiring, or starting by going to Resources at the top right of the Home Page. MEETING DATES FOR 2018-2019: Sept. 11th; Oct. 9th, Feb. 12th, Feb. 26th: March 5th, 12th, 19th, & 26th. Remember, the deadline to renew your license is June 30, 2019. If you don't renew, there is a penalty. A simple reminder: Renew your license every year by the end of June! Meetings begin again at the end of the summer and run through the winter. Check your local association for schedule. If you know anyone who may be interested in becoming a track and or cross country official, let them know now so they can prepare. 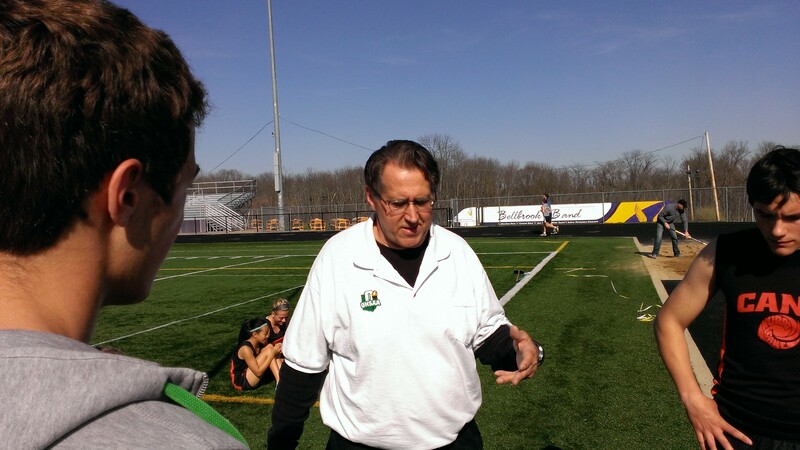 Would you like to become an OHSAA Track and Field and Cross Country Official? Applications for new officials for this spring are being accepted from December 15 to January 15. Step 1: Obtain an Officiating Application Go to http://www.ohsaa.org/officials/permits-new.htm Step 2: Mail application form and fee - Mail completed application form and required $65.00 application fee ($65 per sport, check or money order payable to the OHSAA) to Officiating department, OHSAA, 4080 Roselea Place, Columbus, OH, 43214. Fall sport applications will only be accepted from June 15 through July 15, winter sport applications Sept. 15 through Oct. 15, spring sport applications Dec. 15 through Jan. 15. Step 3: Receive officiating instruction books in mail - You will receive all study material, the testing instructions and the OHSAA handbook for officials within 14 days after we receive the application. If you do not receive this material, contact the OHSAA officiating department at 614-267-2502, ext. 110 or officiating@ohsaa.org. Step 4: Prepare for Officiating Exam - Study your rule books in preparation for the online test. Step 5: Take Officiating Exam - You will take an exam that includes rules and mechanics questions. Each test you will be able to take twice. At the conclusion of the test you will receive your results. Step 6: Complete Concussion Training - Applicants must complete a course on concussion training, prior to officiating. You can get to the link by going to this address on the OHSAA website:http://www.ohsaa.org/officials/default.htm. (revised 8/9) Step 7: Receive Officiating Permit - Applicants with a passing score of 80% or higher will receive their officiating permit in the mail. Allow three weeks from mailing date. If you do not receive your permit within this time frame, contact the OHSAA officiating department at 614-267-2502, ext. 110 or officiating@ohsaa.org. Note: Applicants who do not pass the officiating exam must wait one year to re-apply and start the application process over. Step 8: Attend Required Rules Meetings - All officials have annual meeting requirements. Most sports require four local meetings. A state rules meeting is also required after the year in which an individual initially becomes an official. Begin local meeting attendance NOW! Find a local and state rules meeting in your area. Step 9: Annual Renewal of Officiating Permit - Renew your officiating permit annually in June.